This is the main order form. After determining which tests you should take you will need to fill in the form by marking the tests and filling the relevant sections on both pages of the form. See Patient Advice for Ordering Tests – for details and sequence in which to do this. 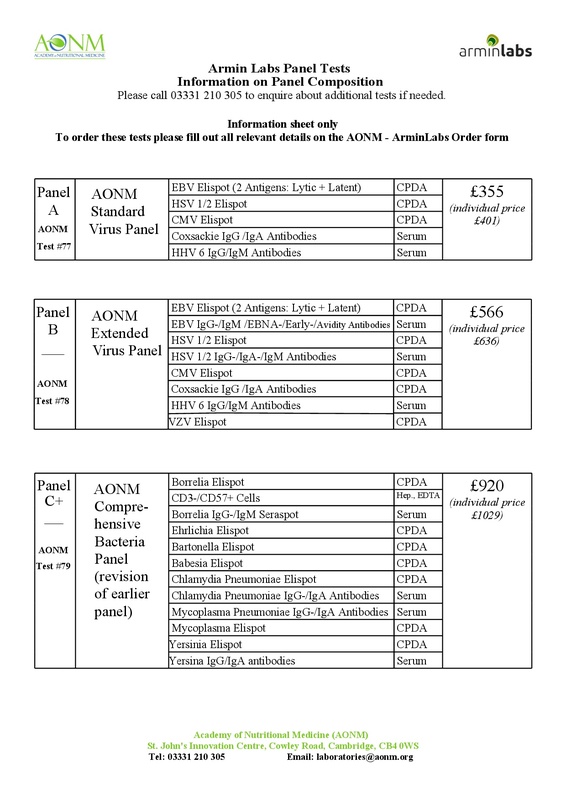 These panels combine a number of tests together and so makes it cheaper when ordering all at the same time. AONM or your health professional will advise you as to whether this is a good option to go for. Please make the order by ticking the appropriate boxes and filling in the standard order form. email info@aonm.org if you require assistance.